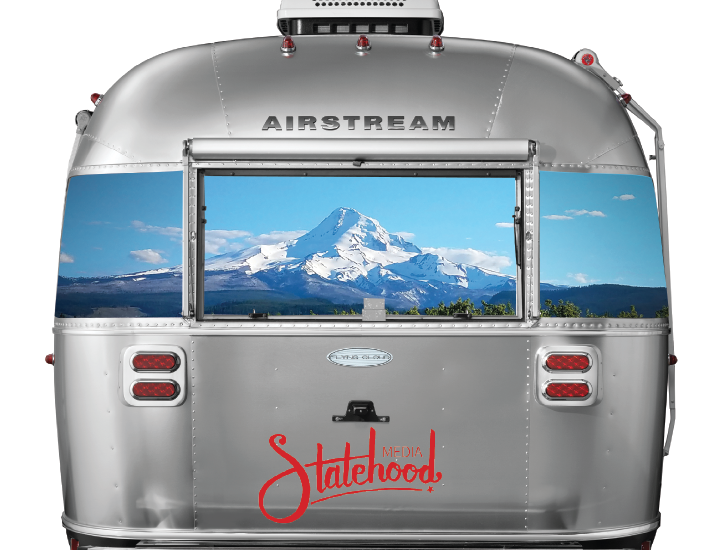 SEATTLE, PORTLAND—Statehood Media today announced a partnership around content creation and marketing with Airstream Adventures Northwest, America’s premier travel trailer brand that was founded in Oregon. Under the partnership, Statehood Media will create inspiring stories from the natural wonders of the Pacific Northwest, using a 25-foot Flying Cloud model as its muse and a launch pad for adventure. Over the next year, the Statehood Media team will visit more than twenty-five scenic spots in Oregon, Washington and Idaho to collect stories and images for an Airstream and Statehood Media co-branded travel guide expected in spring 2018. Go to 1859oregonmagazine.com/airstream or 1889mag.com/airstream for more information. Look for our Flying Cloud in the wild near you or follow our schedule online and meet us in the woods. Statehood Media, LLC builds brands and social communities through compelling storytelling. We create content and market across platforms and boundaries. With offices in Bend and Portland, Oregon, Statehood Media is home to brands 1859 Oregon’s Magazine, 1889 Washington’s Magazine, OnTrak-adventure + lifestyle along the Amtrak Cascades route. Find us at www.statehoodmedia.com, www.1859magazine.com, www.1889mag.com and www.OnTrakmag.com. Airstream Adventures Northwest began as a single Airstream dealership on a postage-stamp-sized lot in the Portland area in 2010. By 2015, it had become the world’s largest and best-selling dealer group in the world, with four locations in the Northwest and Northern California. Find us at airstreamnw.com and www.bayareaairstream.com.